If we could pair up our dream artist with our dream single, this would be the only combination we'd want. It has been a HUGE week for Ed Sheeran. He's already topping the Vodafone Big Top 40 with 'Shape Of You' (and placed in the second spot with 'Castle On The Hill' too) and the world is on the edge of their seat waiting for the next song to drop. However, there's no need to fret. Ed popped by the studio for a little chat this week and gave us the ultimate cover to help tie us over until we get some more Ed. YES. Drake's 'One Dance'. THE song of 2016. We just need to put it out there that even with his trusty guitar in tow, Ed had no idea we'd ask him to sing 'One Dance' but he absolutely nailed it! Drake's 'One Dance' also spent time at the top of the Vodafone Big Top 40 back in April 2016, notching up a total of three weeks before being knocked off the top by Calvin Harris and Rihanna's 'This Is What You Came For'. 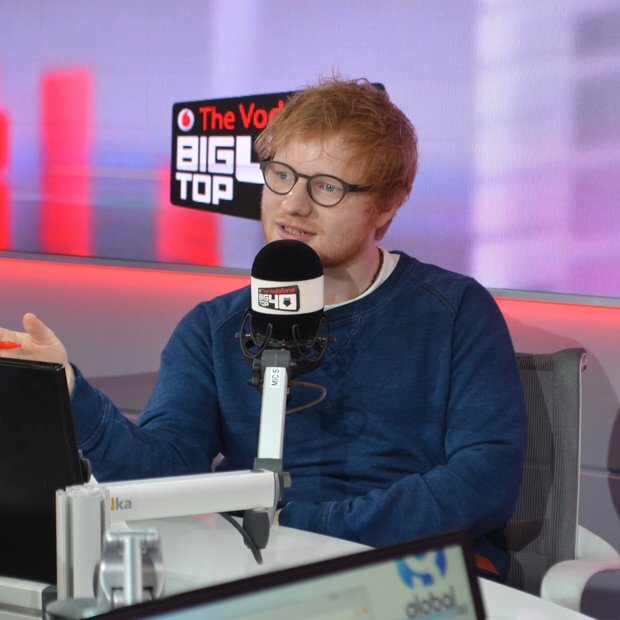 Be sure to tune in every Sunday from 4PM across the UK to see if Ed can keep hold of the No.1 spot!